You are not going to believe this amazing gluten free brownie recipe. 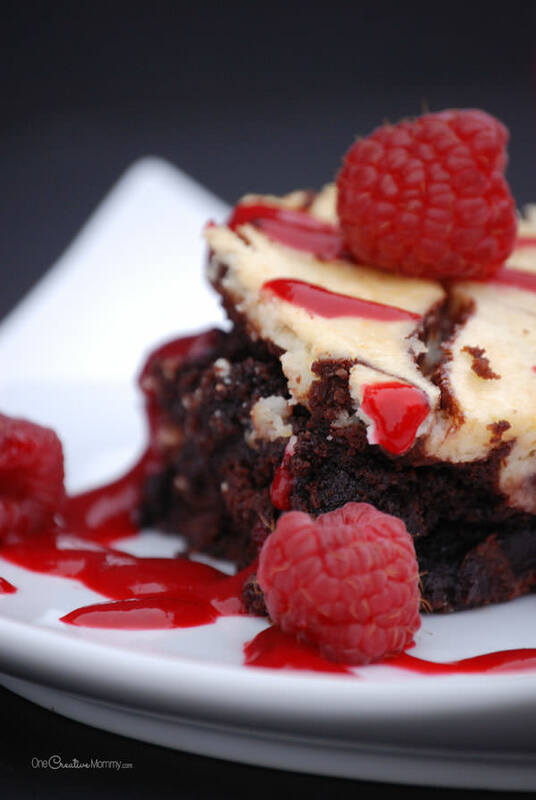 If you love holiday flavors like chocolate oranges and raspberry sticks, I have a delicious gluten free dessert just for you: Get ready for Double Chocolate Orange Cream Cheese Brownies with Fresh Raspberry Sauce. Are you drooling yet? My extended family came into town last night–just in time to give these cream cheese brownies a try. (5 members of my family have to eat gluten free. The rest do not.) We had a little taste taste, and not only were these a hit with the gluten free crowd, but the rest of the family couldn’t stop sneaking bites either! I call that a major hit. If you are afraid of gluten free baking, have no fear. This recipe starts with a mix, so you even beginners can do it. Ready for the recipe? Makes 16 2″ x 2″ brownies, but you’ll probably want to cut them bigger! Lightly grease your 8″ x 8″ baking dish, and preheat oven to 325°. Prepare brownies according to package directions, and pour into baking dish. Set aside. Using an electric mixer, beat cream cheese orange zest, and sugar until blended. Add egg white, flour and vanilla, and blend until smooth. Carefully pour cream cheese mixture over the brownies and smooth to cover the entire top. Run a knife through the layers to marble. You can make a pretty design, or just swirl the knife around. Do not over bake. Brownies may appear underbaked, but will cool to doneness. Cool completely in the pan before cutting. Now, you could just eat these brownies as is. They’re pretty amazing already. But-why stop at amazing? Add fresh raspberry sauce to really knock the flavor out of the park! 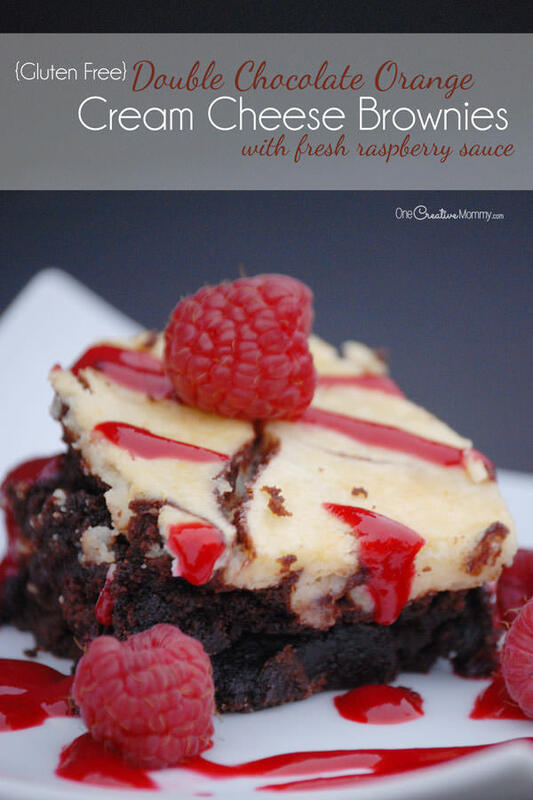 Drizzle sauce over brownies and garnish with fresh raspberries to serve. Thanks, Rachelle. They taste as good as they look! I LOVE the topping idea! Really makes this dessert stand out. Thanks for the idea! Pinned it for sure! Thanks, Camille. The topping really did make the dessert. Raspberry and chocolate is a great combo! These look delicious! I love the raspberry on tip. Thanks for sharing! Thanks, so much, Kendra. I wish I had another batch right now! Thanks, Celeste. It’s a really yummy flavor combination. I’ll definitely be making it again (and again). These look SO delicious! And so pretty! Yummy! Thanks so much, Jess. My desserts don’t usually look pretty, but I was very happy with this one. 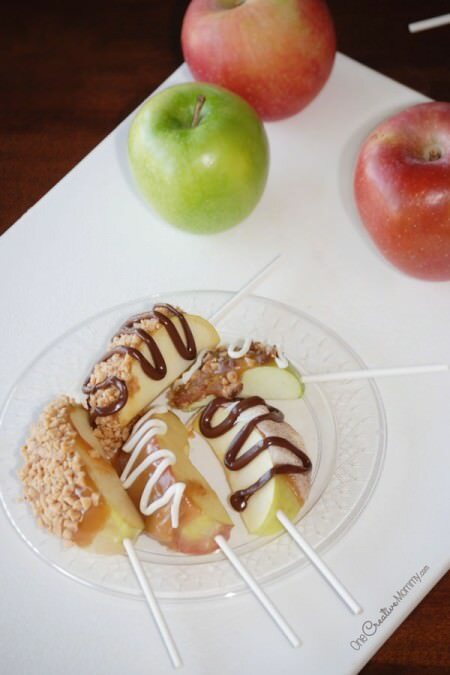 I love, love, love easy holiday ideas. Gluten free orange cream cheese brownies sound delicious and I can’t wait to make them! Thanks so much, Leandrea. I’ve added a gluten free mix giveaway to this post, so if you eat gluten free, be sure to pop back and enter! Can you overnight me a slice? Cream cheese and raspberries? Yes! What a nice flavor combination! Thanks, Jennifer. It’s a combo of all of my favorite flavors. Thanks, Nina. I’m just glad I had lots of helpers when it came time to taste it. I would have eaten the whole batch by myself! These look amazing! Love the raspberries too. I almost made something similar for one of my Christmas parties, now I’m regretting not making it! Thanks, Sharon. There’s always New Years! 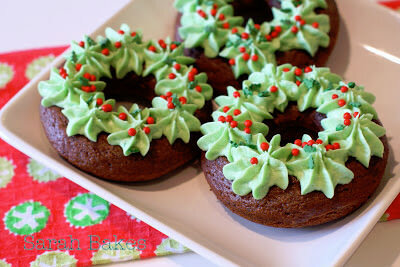 I just added a Krusteaz Gluten Free baking mix giveaway to this post. Since you’re gluten free, I thought you might be interested in entering. My mouth is watering! Those brownies look so delicious! Raspberries are irresistable for me. Me, too, Heidi. I’m kicking myself that I left the raspberries in my fridge when my family went away for Christmas. They were buried in mold when I got back. Big bummer. I would love to try these mixes. And I really want to try the raspberry sauce. I love raspberrry anything. I tried the brownie mix the other day and it was really good. It’d be fun to try this recipe using the mix as well. The muffins would be great for something to have ready to be able to eat whenever I’m hungry! If you try it, get ready to eat the whole pan in one sitting, Jill! Good luck. I LOVE the Krusteaz gluten free mixes. I’m really excited to try the blueberry muffins though – those sound delicious. Do you have a gluten free eater at your house, Katie? I didn’t realize you ate gluten free. Yep! My son is on a diet called low FODMAP, and it’s wheat free. Our doctor recently put him on it, and it has really helped. It’s helped a lot of my health problems, too, so I guess we’ll be gluten free for the long run at this point. I’m glad there’s so many great recipes and companies out there to cater to it, though! Going gluten free was pretty emotional for me at first. It made me sad that my daughter wouldn’t be able to eat her favorite things any more. But, once we started, it wasn’t so bad. We found a bread recipe we like, we found lots of great products, and we found a way to make pretty much anything my daughter wants. (Grandma is a great experimental gluten free cook.) I’m glad we’re doing it now and now five years ago when there was nothing! Good luck with the new diet. YUM! The brownies sound delish! OMG! These brownies sound downright decadent. Yum! 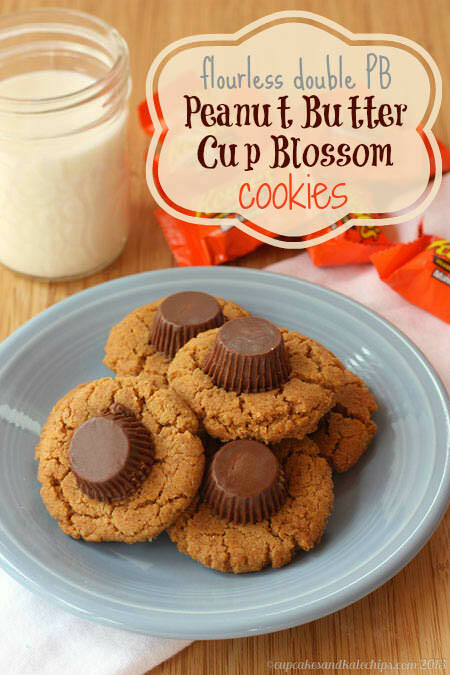 Made my way here via the Real Food Recipes link party. I’d love it if you took a minute to visit my blog sometime. Thanks! Have a wonderful day! Thanks, Marilyn. They’re as good as they look, and they don’t taste gluten free. Those brownies look amazing! I am looking forward to trying all of Krusteaz’s mixes. I need shortcuts in my life right now! It’s so nice to find quick and easy gluten free that actually tastes good. Thanks, Brianna. Oh my! My mouth is watering! These look so great! Chocolate and cream cheese is amazing. I love that it is gluten free, I will have to make this one for my mother in law. I’d love if you would stop by and share on my linkup. Thanks for the invite, Jennie. I’m all linked up! I just bought a big box of the GF brownie mix at Sam’s Club! Can’t wait to try it, Krusteaz makes some of my most favorite mixes. Now only if there were good dairy free ones as well! These look amazing! Yum! These brownies look good! Thanks for sharing them at The Pin Junkie. They were featured at this week’s party! I know most all of my family would love these brownies. I am slowing warming up to gluten free baking, just simple cookies, nothing as gorgeous as this. Well done! Being that I have to eat gluten free, I can’t tell you how much I love the sounds of this recipe! I will be making this for sure!!! My boys would go nuts over these brownies! The orange-cream cheese topping is so unique. 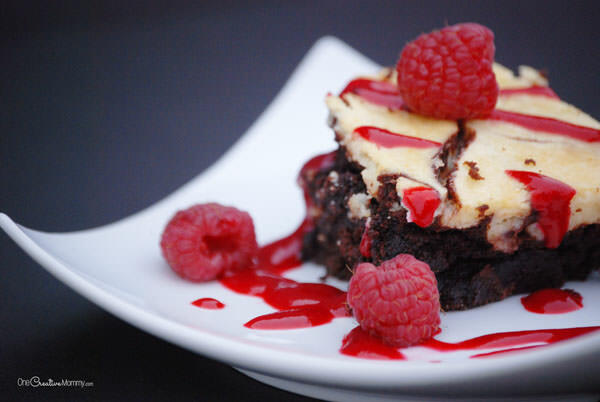 That and the raspberry syrup surely made this brownie recipe a winner! Thanks for sharing the recipe. Oh my goodness those brownies. Yes, I could be happy giving those a taste test, I already know! 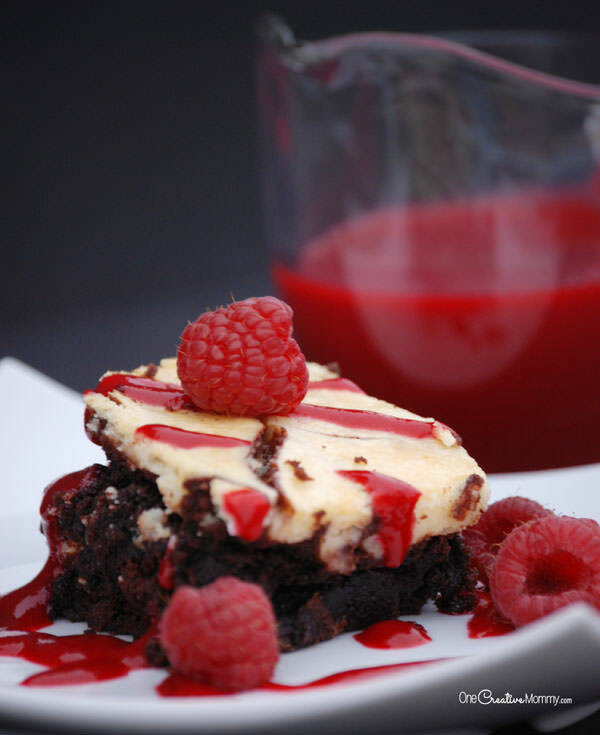 Double Chocolate Orange Cream Cheese Brownies with Raspberry Sauce sound amazingly delicious. I don’t like cream cheese but these brownies I would love to try so I will have to make them. Thanks for sharing the recipe. 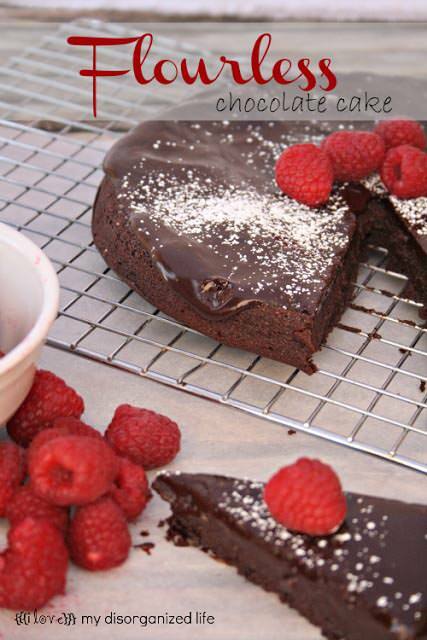 This looks awesome :) Found this looking for GF brownie recipes. Thanks for the recipe and wonderful pictures. These brownies really look so good. The frozen raspberries and vanilla flavor add so much flavor to it. Raspberry Sauce is my most favorite. Thanks for putting them together.